The Resort is located inside a property which is over 325 years old, reminiscent of the pre independence era. A luxury resort with world-class accommodation and an awe-inspiring heritage interwoven in historical elegance, it dwells in its fabulous exteriors, magnificence and luxuries aplenty. The property is dotted with historic art and antiques, a legacy passed down for eight generations now. 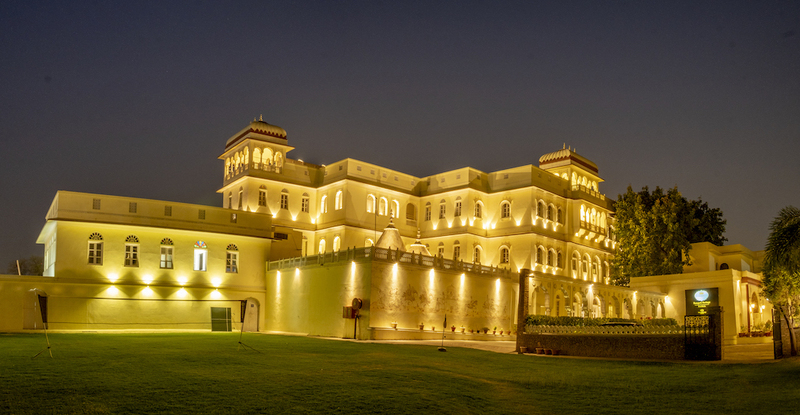 Ramgarh Heritage provides a unique ambience and package for every individual event. A perfect venue for meetings, incentives, conferences, out bound’s, marriages, parties and functions with an open lawn, two covered air-conditioned halls and a pool side. The various venues include the Durbar Hall-I with a capacity of over 150 covers sitting capacity in theater style and Durbar Hall-II with over 200 covers sitting capacity in theater style. We also have an open garden lawn, which can accommodate about 400 guests in a very comfortable and royal ambience. Our Pool Side area can cater to 250 plus guests for any event by the pool. Whether you are hosting a private luncheon for VIP’s, organizing a corporate conference or celebrating a personal milestone, our expert staff will assist you at every step of the way. Our focus is on providing impeccable service that is a class apart, paired with a unique ambience and theme in a welcoming atmosphere. 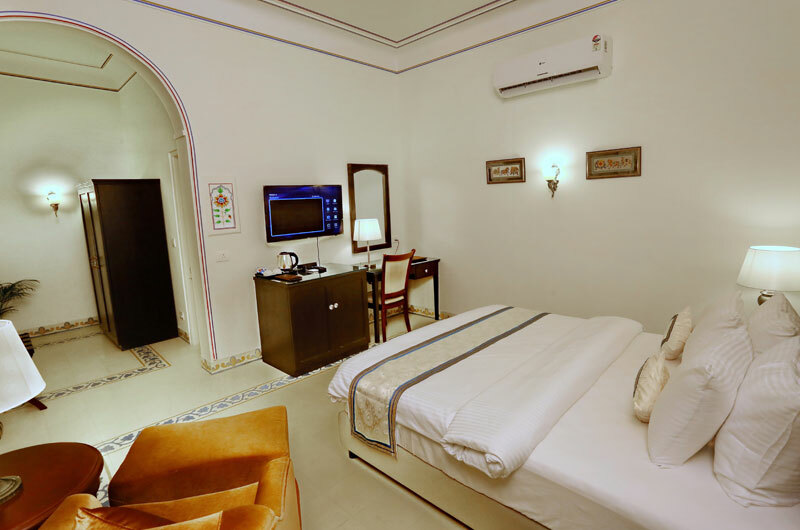 Ramgarh Heritage offers 11 Luxury Rooms located within the Jagjit Mahal, the rooms are well appointed with modern comforts and luxuries. 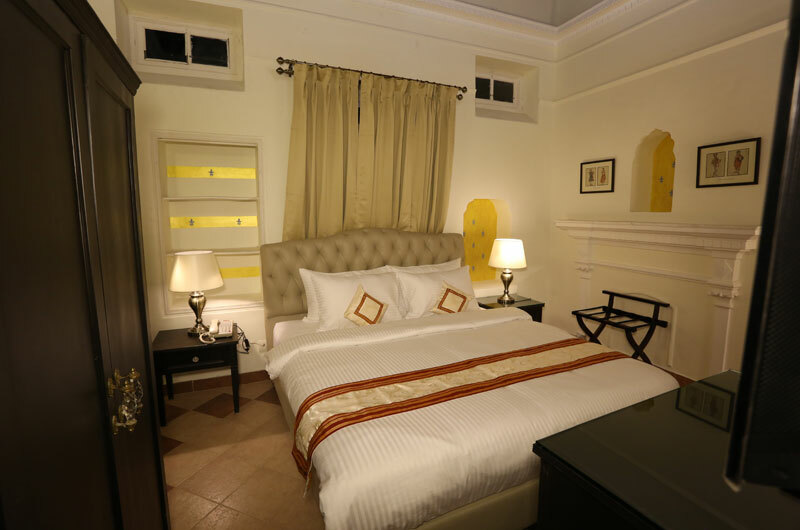 Ramgarh Heritage offers 6 Premium Rooms located within Jagjit Mahal, with no two rooms alike and all in different sizes, its a must stay. 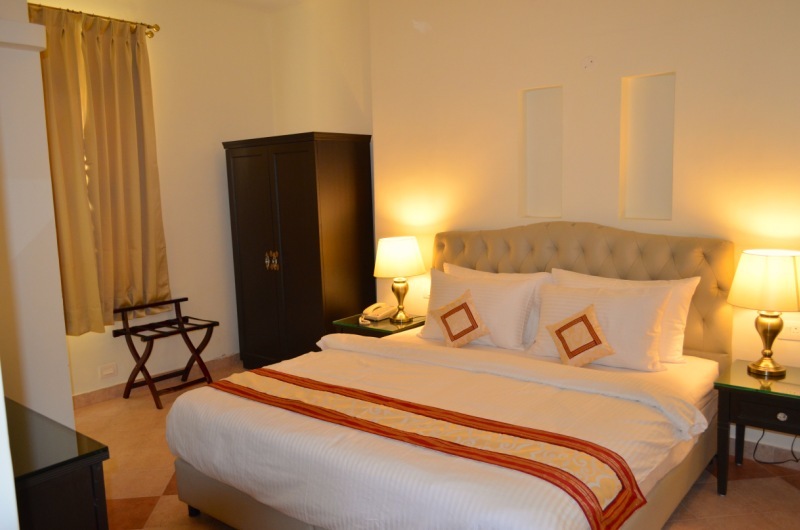 Ramgarh Heritage offers 4 Heritage Rooms located in the Victorian Bungalow named Jagdish Kuti, built in 1937. These rooms have a mystic charm about them sending one back in time. 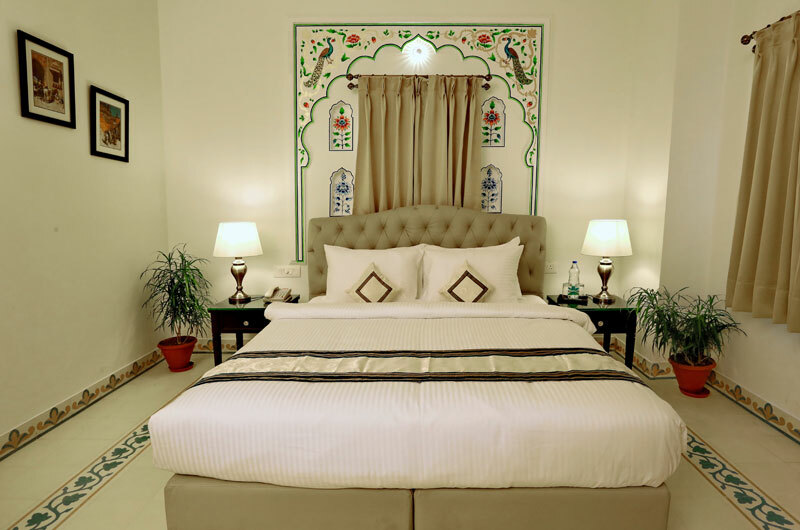 Ramgarh Heritage offers 3 Heritage Suites located in the Victorian Bungalow named Jagdish Kuti, built in 1937. All the suites are similar in configuration but different in sizes. 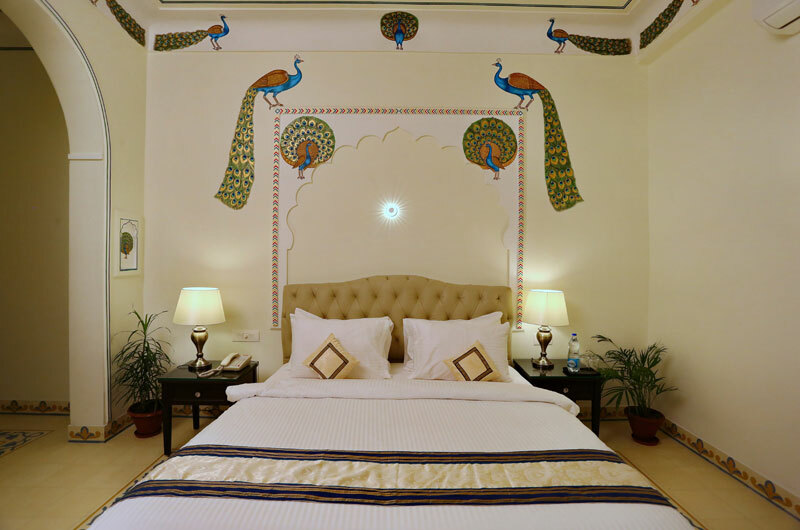 The Peacock Suite and The Lotus Suite are located in the Jagjit Mahal. A two room configuration and extended dressing and bath space, these suites offer a truly royal experience.